Pildil: Raudliiga esimene matš Viikingite Külas 2014 – Alik vs Barbar. Keskaegse Võitluse Raudliiga on Eesti Ajaloolise Mõõgavõitluse Liidu täiskontaktse keskaegse võitluse võistlusliiga. Loe Raudliiga kohta lisaks Raudliiga infolehelt. 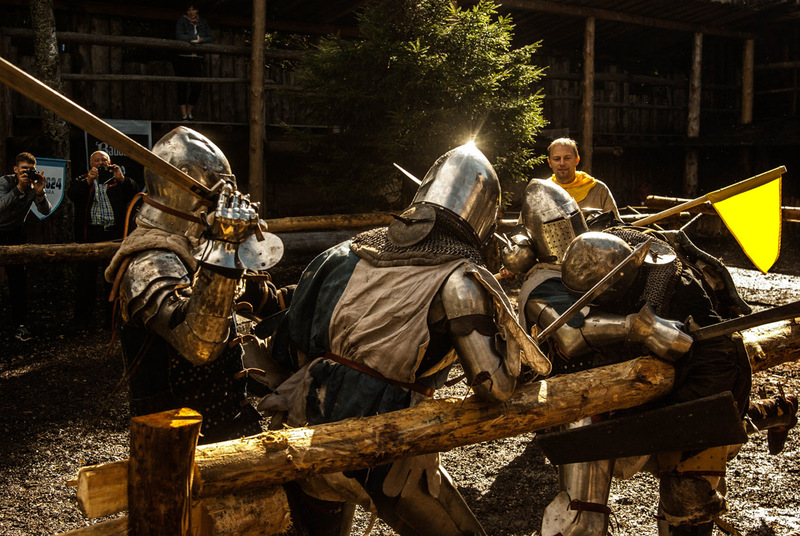 Medieval Fighting Iron League is the competitive league of one-on-one full contact medieval fighting created by Estonian Historical Fencing Association. Read more from Iron League info page. 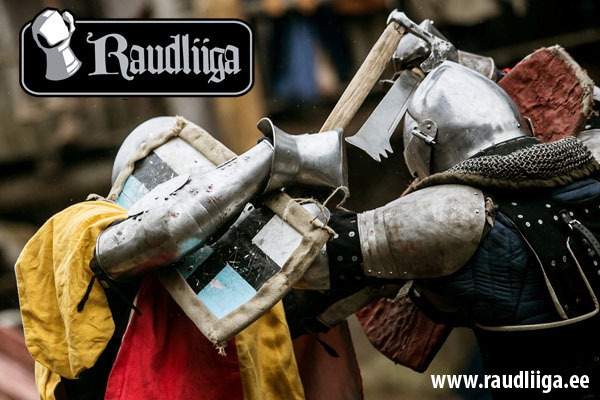 Medieval Fighting Iron League is the competitive league of one-on-one full contact medieval fighting created by Estonian Historical Fencing Association. At the end of each year the winner of the season is declared. Iron League uses two different ratings tables from witch one is SEASONAL and another is TOTAL. At the end of each season the winner of the season is declared. Open tourneys of the Iron League are open for all participants. In an open tourney, the winner of the match is awarded 2 points, while the rating of the defeated opponent remains unchanged. In case of a tie, both participants receive 1 point. Any Iron League match that is held outside an open tourney is called a single match. In a single match, the winner gains 2 points, while the defeated opponent loses 2 points. If the defeated opponent has a rating of 0 to begin with, the winner will not earn points from the match. In case of a tie, the ratings of both participants remain unchanged. The rating chart is ordered by the total number of points each fighter has gained. If the number of points is equal, the number of fights is taken into account next when determining the rank and then the number of victories. Fighters of equal ranking are ordered by their given name. Pildil: Raudliiga esimene matš Viikingite Külas aastal 2014 – Alik vs Barbar. Keskaegse Võitluse Raudliiga on Eesti Ajaloolise Mõõgavõitluse Liidu täiskontaktse keskaegse võitluse võistlusliiga. Igal aastal toimub Raudliiga turniiride seeria ning aasta lõpus kuulutatakse välja võistlushooaja võitja. Raudliiga võitlused sarnanevad MMA (Mixed Martial Arts) võitlustele, ainult et kasutatakse raudrüüsid ning keskaegseid relvi. Inglise keeles kasutatakse sellise võitluse kohta ka terminit HMMA (Historical Mixed Martial Arts). Laiemalt on see keskaegse võitluse harrastajate hulgas tuntud profivõitluse (profight) nime all. Igal Raudliiga avatud turniiril (kus kõik soovijad saavad osaleda) saavutatud matšivõit annab võitjale +2 punkti (viigi puhul +1/+1). Kaotaja punktiseis ei muutu. Väljaspool avatud turniiri peetud matši puhul (üksikmatš) saab võitja +2 pukti ning kaotaja kaotab -2 punkti. Juhul kui kaotaja reitingusumma on 0, võitja punkte juurde ei saa. Viigi puhul ei saa punkte kumbki võitleja. Tabel järjestub reitingupunktide summa järgi. Kui summa on võrdne, arvestatakse järgnevalt võitluste arvu, seejärel võitude arvu. Võrdsel kohal asuvad võitlejad reastuvad eesnime esitähe järgi. 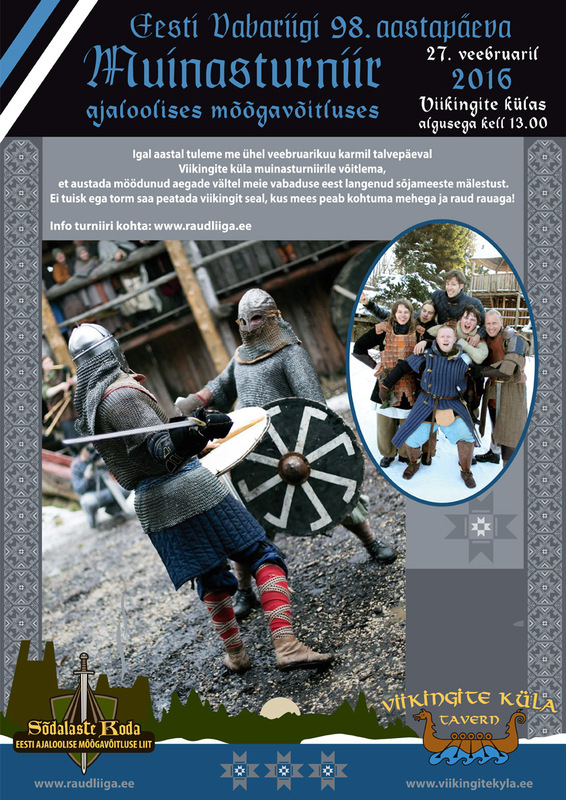 Each year, we pick a bright cold day in February to meet up in the Viking Village and hold a tournament in the honor of all the warriors who have laid down their lives for the freedom of our people. No hail or storm can hold back a viking in a place where men are destined to meet men, and steel is destined to meet steel. The email needs to contain the fighter’s real name, mobile number, email address, warrior name and club (if any), as well as whether they wish to participate in the beginner league, or in the advanced league. The fort is located near „Saula“ bus stop, which is serviced by the bus lines number 138, 139, 144, 229 and 229A. NB! Registration is open until 06.11.2015. Fotod: Neil Savi, Olev Luik. 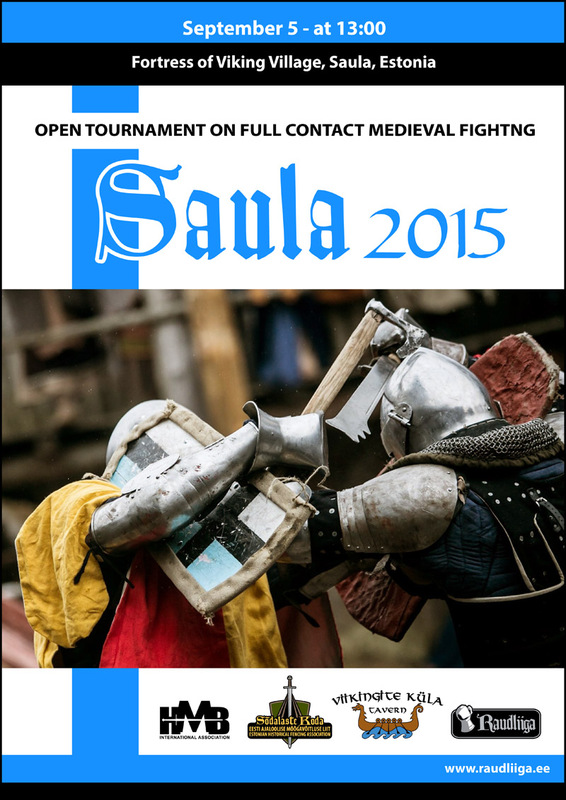 On September 5, a full contact medieval fighting tournament “Saula 2015” was held in the Viking Village, Estonia, hosting 14 fighters from Estonia, Finland and France. 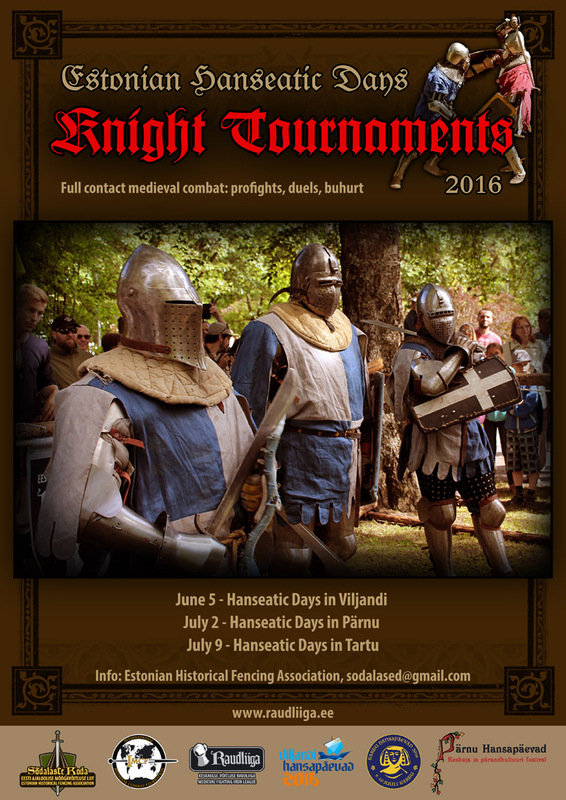 The tournament was organized by the Estonian Historical Fencing Association and Viking Village. 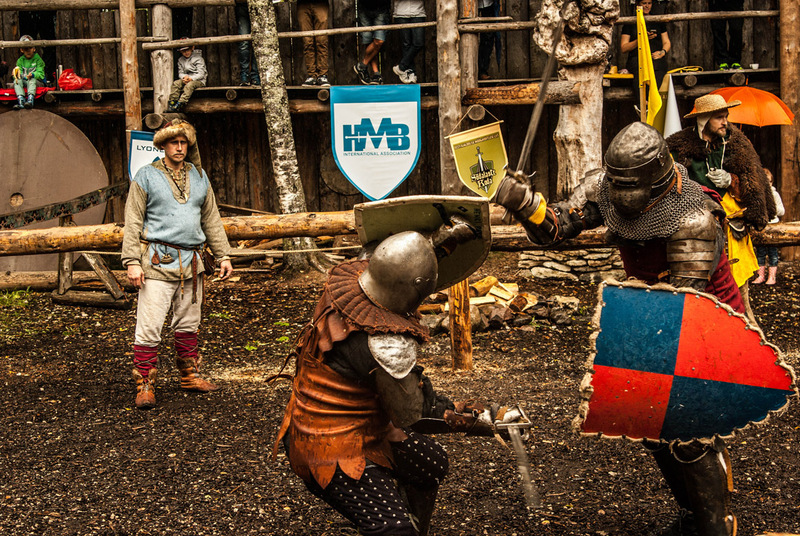 On September 5, a full contact medieval fighting tournament “Saula 2015” was held in the Viking Village, Estonia, hosting 14 fighters from Estonia, Finland and France. 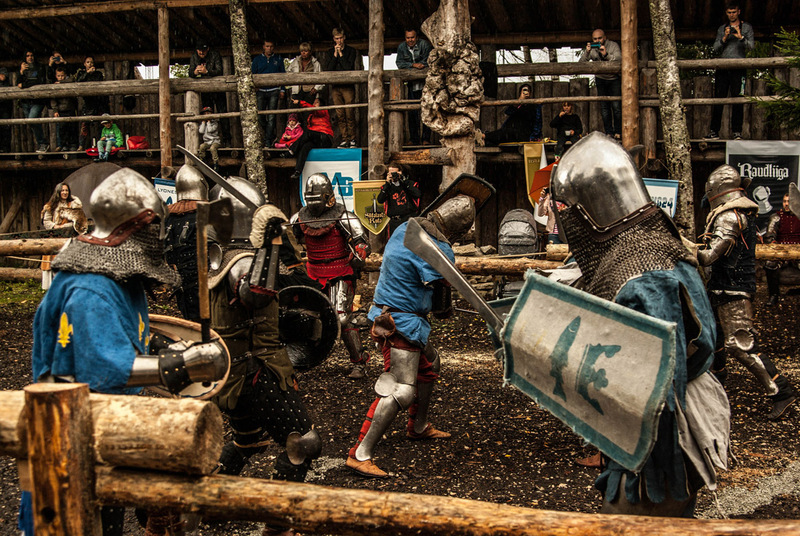 The tournament was organized by the Estonian Historical Fencing Association and Viking Village. The event was marshaled by Raivo Ird, an internationally HMBIA-certified marshal. Video on Estonian national public television ETV. Saula 2015. HMB buhurt 5vs5. Photo: Olev Luik. 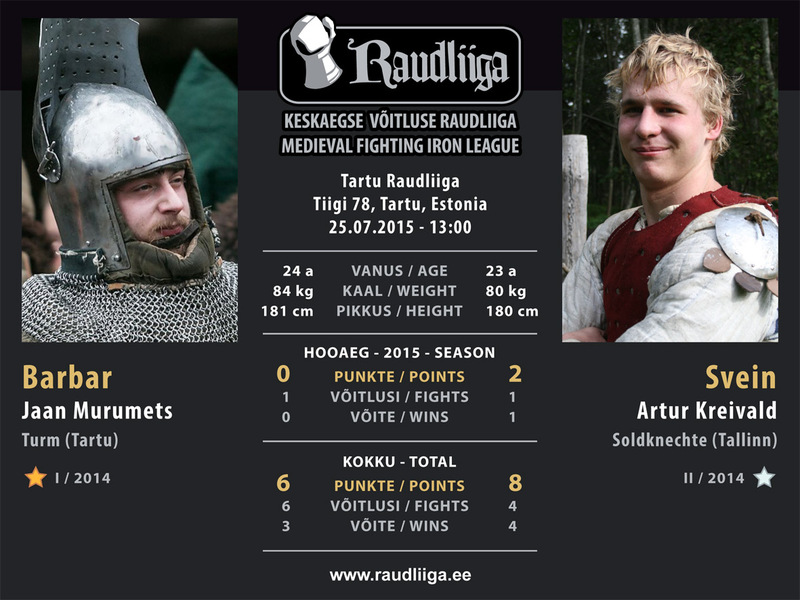 In the HMB buhurt 5vs5 category, the team Visitors (Est/Fin/Fra) met the team Estonia-1 (Karu Klubi, Turm). The team Estonia-1 also represented Estonia in the IMCF World Championships held in Malbork and in Battle of the Nations held in Prague this year. The match was won by the team Visitors with the final score of 2:0. Saula 2015. HMB buhurt 3vs3. Photo: Olev Luik. 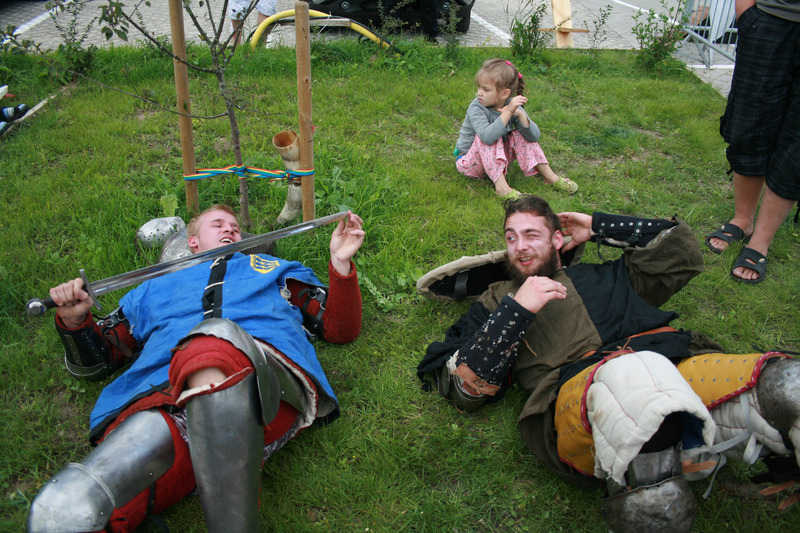 Three teams participated in the HMB buhurt 3vs3 category, with each of them amassing a single victory. As such, the final winner was determined by the largest number of round victories and score points. The winner in the 3vs3 category was FinFra. Karu Klubi (Narva) took the second place, while the joint-team of clubs Turm (Tartu) and Soldknechte (Tallinn) came third. Saula 2015. Duel with sword and shield. Photo: Olev Luik. 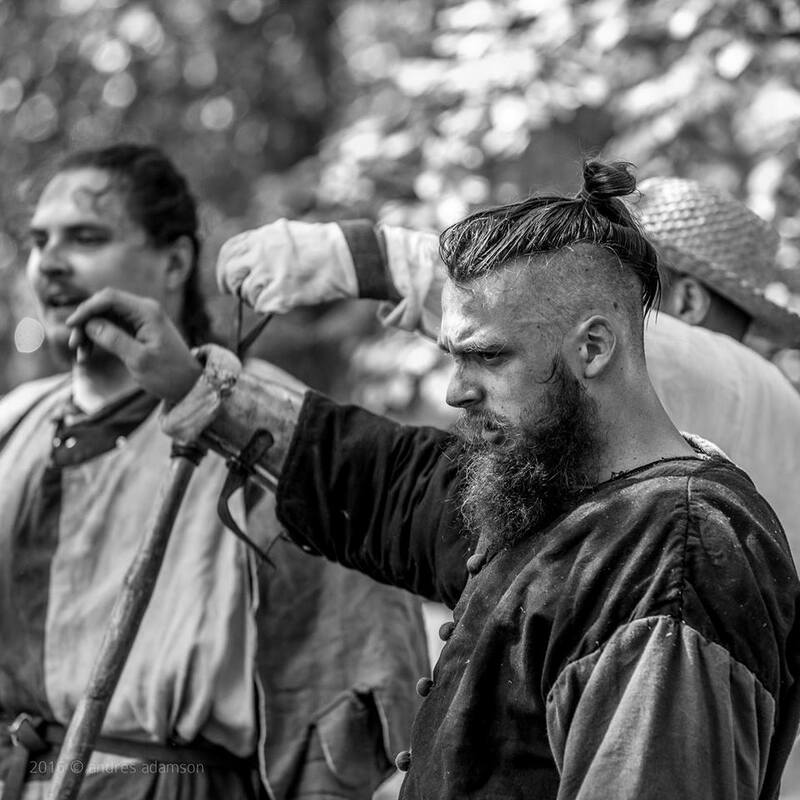 The winner in the duel with sword and shield category was Jaan Murumets aka Barbar from club Turm (Tartu). Maksim Sidnev aka Skeggolf from club Valhalla (Tallinn) took the second place. Jaan Murumets also represented Estonia in the the IMCF World Championships held in Malbork this year, where he won a bronze medal in the same category. Epic fight between two best fighters in Estonia. 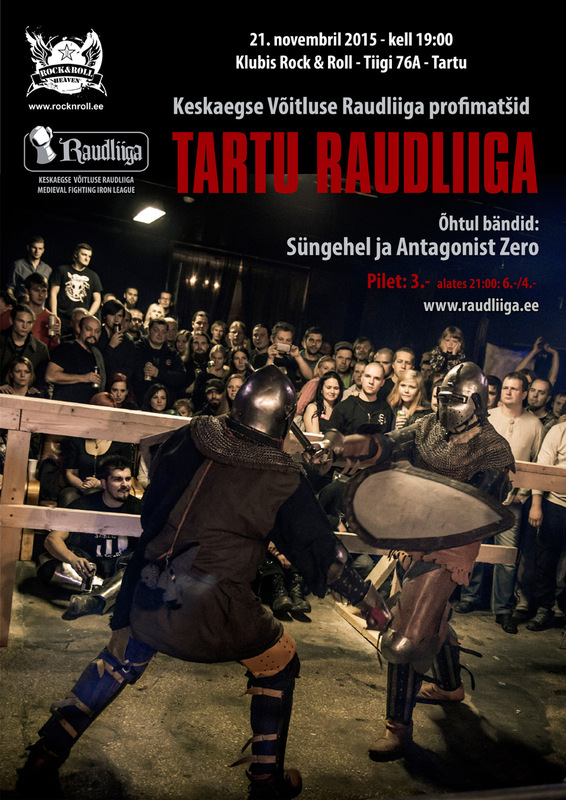 On 25 June, an Iron League match was held in Tartu between Jaan Murumets a.k.a. Barbar (Turm, Tartu) and Artur Kreivald a.k.a. Svein (Soldknechte, Tallinn). The winner of the match was Svein, with the final score of 33:28. Svein is currently leading both the overall Iron League rating table, as well as the 2015 seasonal one, not having lost a single Iron League match.